5.Easy to install and change pictures, can be placed on desk or hung on walls. 6. 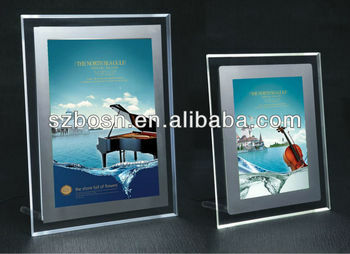 Suitable for displaying photos, pictures, cards etc, the frame can be easily opened to change pictures, It is hotly uesd for advertising in business centers, dinning halls, show rooms and any other places. 9. Please contact us for more information.